For a lady of “medium size” this lady’s gown would have required over 13 yards of fabric 22 inches wide. 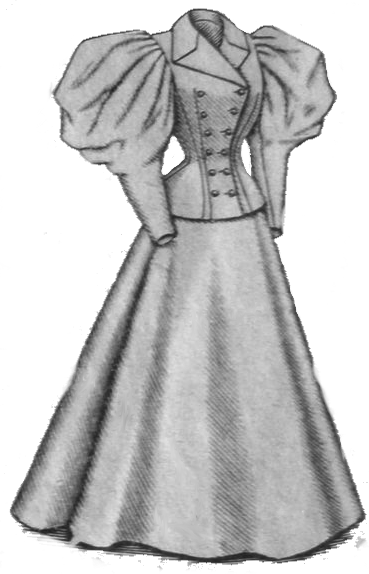 This 1895 “Ladies Costume” was a sewing pattern sold by Butterick in 1895. The chemisette was removable and featured a double row of buttons. 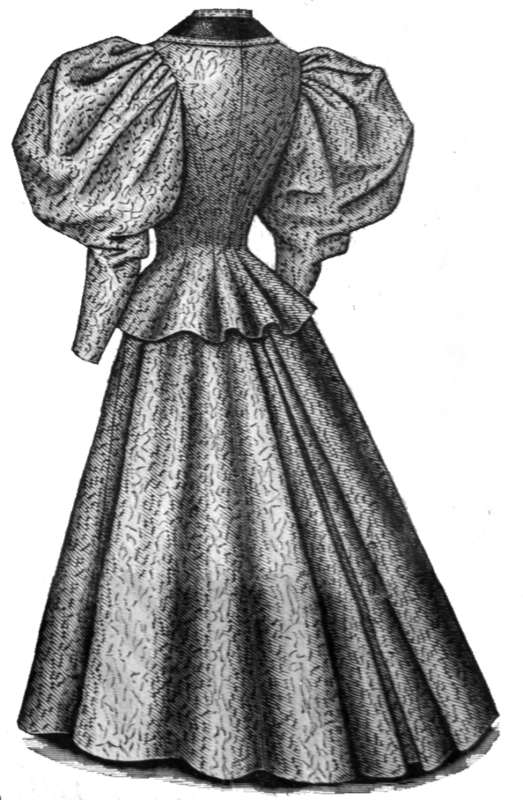 The skirt was identified as a five-gored skirt laid in four side-plaits at the back. Sounds like something only the most talented of seamstresses might have been successful at making. While the sewing machine had been invented by this time, most homes simply could not afford one. I love the little frilly skirt at the back of the chemisette. But, those poufy arms. They were a great way of making a tiny waistline look even smaller but from 21st century standards, they do seem a mite overwhelming. The pattern sold for 40 cents. The advertisement included three illustrations. I’ve shared two of them here for your enjoyment.